Picture this – your school produces nearly a 30% higher graduation rate than the national average for primary school. Those same students go on to double the national average for high school graduates. Impressive – yes, we will take that compliment. Now imagine doing that without a roof over your head. No electricity, no library, and… oh yes, one bathroom to share with the entire school – students and staff. The children of GSI live this reality. They hunger for opportunity while sitting in their make-shift classrooms, tarps overhead and rubble from the earthquake still lingers on their dirt classroom floor. Rather than just asking our readers to open a wallet or purse, we thought we would first share some of the hope that is rising up in Haiti and 3 ways to strengthen that hope. The reality of hope is that it is always held in tension with challenge. The need for hope doesn’t occur without challenging circumstances. Join us in strengthening hope while helping us tackle our challenges. Continue reading to find out more. The three ways to strengthen hope are to be intentional, practical, and exponential in the direction of your passion. 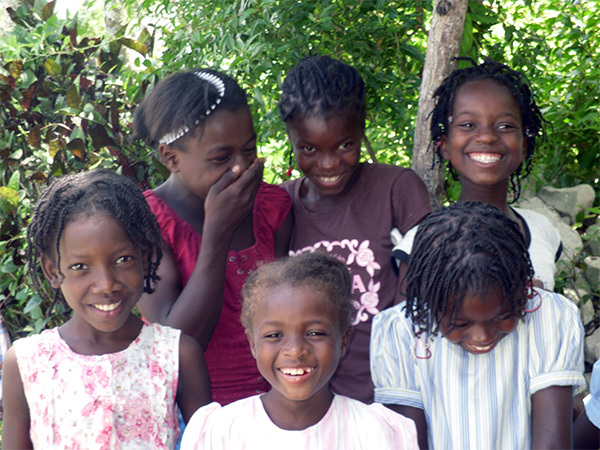 GSI Haiti has been brining a hope to Haiti for over 25 years. If you could spend a day with the teachers, the volunteers, and of course the children… if we could spend a day together walking the grounds of GSI’s primary school, you would see a beautiful picture of hope that would change the way you think about hope. 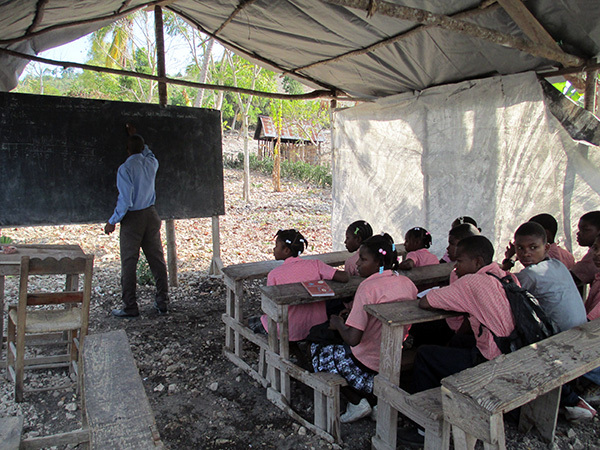 Through passionate teachers and dedicated volunteers, GSI has built sustainable momentum toward developing and educating the community Fond des Blancs, Haiti. GSI’s focus has always been developing the community of Fond des Blancs by prioritizing the education, health, and well-being of its children. Low-cost, high-impact programs have made it possible for many children living in poverty to have opportunities, holistic care, education, food, clothing, and mentors that they would not have otherwise. Our “children first” approach to development emphasizes long-term sustainability on the individual and community-wide levels. Though we strive (and succeed) to provide our kids with a great education, the situation is not entirely ideal. This is where we’re at for the moment! Since the earthquake of 2010 and through subsequent tropical storms we’ve been in the ���repair & meeting basic needs” stage of development as our structures have been damaged a few times over and funding priorities have had to shift. We are now stabilized, though, and in an exciting new expansion phase that we want you to be a part of! Join us in being intentional, practical, and exponential. Most people may not be able to do all three – that’s ok. If you can join us in one area we can build hope together. Will you be 1 of 1000 for Haiti? We ask that if possible and practical you consider a donation. Our goal is to reach $10,000 by the end of July. We ask that you consider sharing this article in your social media circles. We cannot reach everyone, but with your help, our combined reach is enough. We have asked a lot – being practical and exponential will be a tremendous help. Not everyone can do al three. Again, your help in just one area will make an impact. But… if you can. If you want to try… join us in being intentional in prayer each day throughout the month of July. Pray for this message to reach the hearts of those who have the means to help out financially. Pray for our teachers, students, and volunteers. And, pray that others around the world would join us in passionate prayerful, sustainable support as we move forward together bringing strengthened hope to Fond des Blancs, Haiti. If prayer is not your thing, please offer your thoughts, ideas, and well-wishes on this ambitious campaign in the comments below.